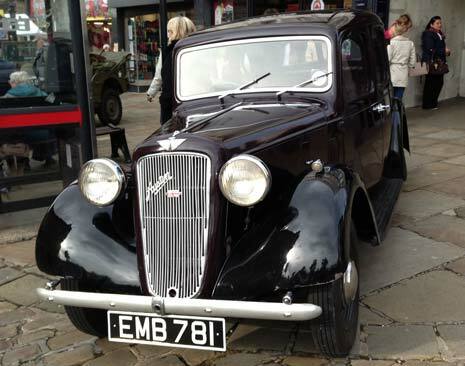 On a lovely day, thousands turned out to visit the 1940's Market, and saw traders dressed in wartime finery, with vehicles and a George Formby tribute taking place on the High Street. 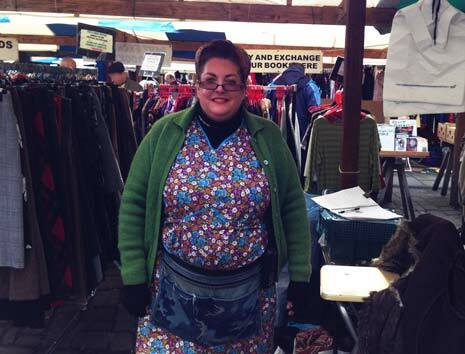 Caroline Steel (above) is part of the Market Trader's Federation and she told us that she was thrilled with the turnout on the day, "It's a brilliant day and we want to build on it and make it an annual thing. We want to try and get it earlier in the year when it's warmer!" 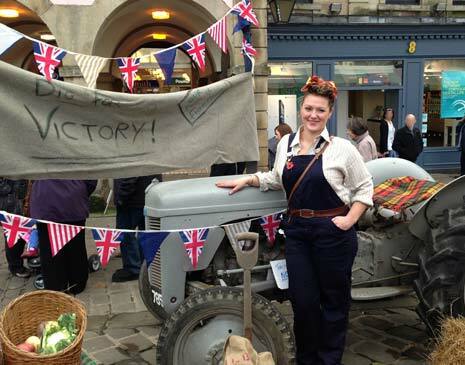 Sean Carrington, Tourist Officer for Chesterfield - and one of the team behind the event - told us he was very proud of the town, "We spoke to the traders and they agreed on the 1940's theme and we took that further. The events round the market are good for the market, with good names and good traders around. We will be announcing the best costume winner later today." 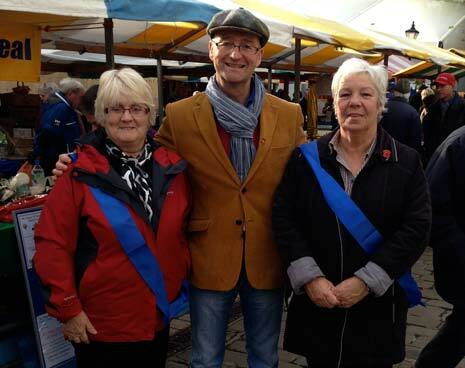 One of the main attractions was a Bargain Hunt Challenge, which saw two teams - Team Mayor and Team Mayoress - spend a £100 budget on bargains from the Flea Market and then see them auctioned off in New Square, with proceeds going to the Mayor's Appeal. Celebrity teammates this year included David Harper and James Lewis from BBCs Antiques Road Trip. It's a fun event, which always garners good-natured competitive banter from teams and traders alike and this year, David Harper (below) was charged with advising Team Mayor. 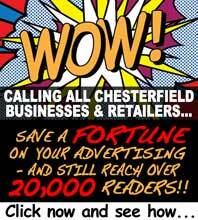 He told The Chesterfield Post that he had thoroughly enjoyed his day on Chesterfield's flea Market and would definitely be back! "We have found some bargains I think! I have filmed here before with Bargain Hunt so I remember the Spire, which is fantastic. "You can't get any more eco friendly than this market, it's fantastic. We've bought some amazing things for no money and if I'm ever in this neck of the woods, I will come here alone and I’ll buy some bargains, as there is some fantastic stuff. We've bought everything from Japanese vases, art deco, bits of glass, jewellery, English porcelain - we could fill an antiques shop with the stuff we've bought for under a hundred quid - ridiculous!" The Mayor of Chesterfield was also showing fighting talk saying, "We've had a good day. The stall holders have been good to us, a real asset and we're hoping we've got enough to thrash the Mayoress' team! "Also it's excellent to raise a few pounds for the Mayor's Appeal. The people of Chesterfield and visitors have come to talk to us and it's been a good day for Chesterfield. The skies have been clear and the sun is shining - and I've spent all the £100 too!"